It's neat when what's universally despised gets transformed into something worth looking forward to. Yet it's hard to remember what life was like before pressure to have a fresh one each year became enormous; we've canceled half our holiday parties for fear of not meeting expectations (now alarmingly high). And it isn't just us; brands and celebrities see it as a holiday rite of passage. But those efforts are usually born more from craven peer pressure than strategy. Which is part of why Helsingin Sanomat's approach is so refreshing. With help from TBWA\Helsinki, the Nordic newspaper gave the "ugly" in "ugly Christmas sweater" new meaning. #UglyTruthSweaters, a campaign that uses ugly sweaters as a highlight reel of the year's ugliest news, makes the kitschy shapelessness of its medium even less flattering, but in a way more interesting than guilt-inducing. Among the topics breached in earnest stockinette stitch: climate change, war, sexual harassment, technological manipulation and that creepy continent of ocean plastic. 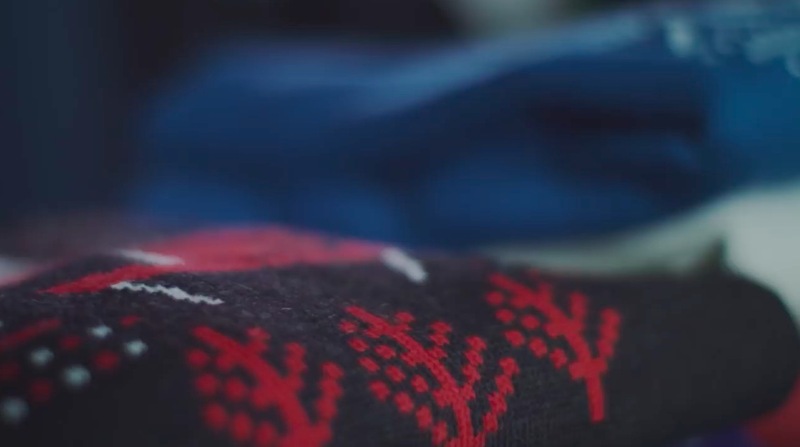 Adding to the charm, there's nothing ugly about how each sweater was made: The wool was 100 percent locally sourced from the small town of Lieto. Each sweater was mailed to "people fighting to resolve these issues," including Nobel Peace Prize winner Martti Ahtisaari, Malala Youszafai and Tarana Burke, the originator of #MeToo. "Truth is the cornerstone of journalism, no matter how ugly it is," says Helsingin Sanomat's senior editor-in-chief Kaius Niemi, echoing the video's conclusion: The truth may be ugly, but it will never go out of style. "We can't shy away from topics that are difficult, in-your-face or hard to swallow," says Niemi. "That's why this Christmas we are wearing them on our sleeve, literally. It is our responsibility to bring these matters into the public consciousness and keep them there as long as they remain unsolved." To reinforce the sweaters, the paper will publish articles that provide a survey of each subject. • Arnold Schwarzenegger: The former California governor signed a number of bills that aimed to reduce the state's greenhouse gas impact during his tenure, and later on his climate action work has continued as the founding chair of the R20 – Regions of Climate Action organization. • Leonardo DiCaprio: The actor has spoken on the urgency of climate action and made considerable donations in the fight against climate change through the Leonardo DiCaprio foundation. • Laura Kolehmainen: Student and initiator of the Ilmastoveivi 2019 campaign urging politicians to take the climate seriously. • Sini Harkki: Greenpeace programme manager in Finland. • Piia Elonen: 2019 Climate correspondent for Helsingin Sanomat. • Martti Ahtisaari: The former UN diplomat, Finnish president, and renowned peace mediator has been awarded the Nobel Peace Prize and continues his work for world peace in the Crisis Management Initiative (CMI). • Malala Youszafai: The Pakistani activist for female education is the youngest Nobel Peace Prize laureate ever. Her work in promoting girls' right for education helps build a more conflict-free world. • Nadia Murad: The Iraqi human rights activist is the founder of Nadia's Initiative, an organization that helps women victimized by genocide, mass atrocities and human trafficking rebuild their lives. She was awarded the Nobel Peace Prize in 2018. • Boyan Slat: The Dutch inventor is the founder and CEO of Ocean Cleanup, an organisation that aims to rid the oceans of plastic with advanced plastic collection systems. • Lewis Pugh: The British-South African endurance swimmer and ocean advocate has been one of the most vocal commentators on the plastic pollution in our oceans, reporting from his swims around the world. He has also been appointed as the UN Patron of the Oceans. • Anne-Mari Pahkala: Fashion designer; has incorporated plastic collected from the sea into her designs. • Mari Pantsar: Director for the carbon-neutral circular economy theme at the Sitra Fund. • Outi Setälä: Senior researcher at Finnish Environment Institute. • Chamath Palihapitiya: The venture capitalist was an early executive at Facebook but left the company in 2011, later urging people to be cautious regarding social media and its influence on people. • Charlie Brooker: The creator of the dystopian Black Mirror drama series has made multiple statements on the dark side of technology and dealt the subject in his work. • Mikko Hyppönen: Global security expert, renowned for the "Hypponen Law" on IoT security and credited by Twitter for improving its security. Accredited speaker who continues to educate corporations and professionals in the field of Cyber Security and IoT. • Tarana Burke: The original founder of the #MeToo movement. Was named in the 2018 TIME 100-list. Has continued to help survivors of sexual assault. • Alyssa Milano: The world-renowned actress and activist turned the #MeToo campaign into a rallying cry against sexual assault and harassment.